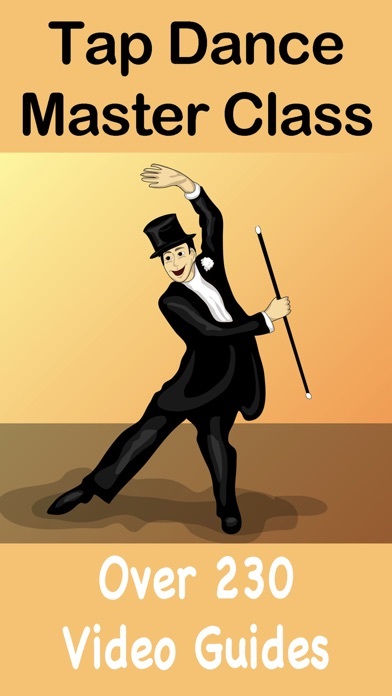 Take a master class in Tap Dancing with this collection of 264 tuitional and informative video lessons. All aspects of Tap Dancing are covered - from beginners to advanced and all the steps needed in between. 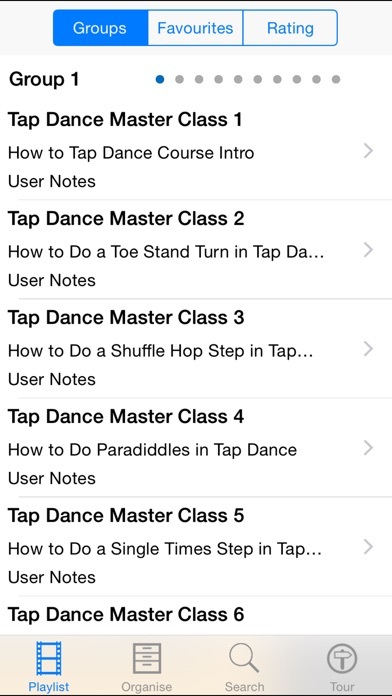 Tutorial videos include: How to Tap Dance Course Intro How to Do a Toe Stand Turn in Tap Dance How to Do a Shuffle Hop Step in Tap Dance How to Do Paradiddles in Tap Dance How to Do a Single Times Step in Tap Dance How To Do Slides in Tap Dance How to Do a Hop Shuffle Step in Tap Dance How to Do Cramp Rolls in Tap Dance How to Do Flaps in Tap Dance How to Do a Buffalo in Tap Dance How to Do Heel Stands in Tap Dance How to Do a Flap Heel in Tap Dance How to Do Back Flaps in Tap Dance How to Do Clicks in Tap Dance How to Do a Back Flap Heel in Tap Dance How to Do a Shuffle Ball Change in Tap Dance How to Do a Toe Heel in Tap Dance How to Do a Tripple Times Step in Tap Dance How to Do a Double Times Step in Tap Dance How to Do a Maxi Ford in Tap Dance How to Do Chugs in Tap Dance How to Do a Heel Drop in Tap Dance How to Do a Toe Stand in Tap Dance How to Do a Toe Drop in Tap Dance How to Do Shuffles in Tap Dance How to Do Wings in Tap Dance How to Do Double Shuffles in Tap Dance How to Do a 5 Count Riff in Tap Dance How to Do a 3 Count Riff in Tap Dance How to Do Double Draw Backs in Tap Dance How to Do a Back Essence in Tap Dance How to Do a 7 Count Riff in Tap Dance How to Do Single Foot Wings in Tap Dance How to Do the LA Times Step in Tap Dance How to Do a Double Back Essence in Tap Dance How to Do a Cincinnati in Tap Dance How to Do Paddle Turns in Tap Dance How to Do Scuffles in Tap Dance How to Do Ankle Rolls as a Tap Dance Warm Up How to Do a Scuffle Ball Change in Tap Dance Tap Dance Warm Up - Front Side Back Tap Dance Warm Up - Toes and Heels How to Do Draw Backs in Tap Dance How to Do Bombershays in Tap Dance The Difference Between a Brush and a Scuff in Tap Dance How to Do Buffalo Turns in Tap Dance Beginner Tap Combination 1 How to Do a 3 Count Riff Walk Slams in Tap Dance How to Do Frap Backs in Tap Dance How to Do Flap Heel Turns in Tap Dance The Difference Between a Stomp and a Stamp in Tap Dance How to Do Double Pull Backs in Tap Dance How to Do Double Cramp Rolls in Tap Dance How to Do Pull Backs in Tap Dance How to Do a Hop Scuffle Step in Tap Dance How to Do Maxi Ford Turns in Tap Dance How to Do Fraps in Tap Dance How to Do a Maxi Ford Pull Back in Tap Dance How to Do Turning Cramp Rolls in Tap Dance How to Do Trenches in Tap Dance How to Do Triple Cramp Rolls Shuffle Cramp Rolls in Tap Dance How to Do Single Foot Pull Backs in Tap Dance How to Do a Scuffle Hop Step in Tap Dance How to Do a Scuffle Step in Tap Dance How to Do Crossing Draw Backs in Tap Dance How to Do a Double Maxi Ford in Tap Dance How to Do a Double Cincinnati in Tap Dance How to Do an Advanced Flap Heel Turn in Tap Dance How to Do a Back Riff Walks in Tap Dance How to Do the Shirley Temple in Tap Dance How to Do the Double Buffalo in Tap Dance How to Do Irish Flaps in Tap Dance How to Do Over the Top Jumps in Tap Dance How to Do Frap Cramp Rolls in Tap Dance How to Do a Treble Step Combination in Tap Dance How to Do a Traveling Times Step in Tap Dance How to Do a Scissor Step in Tap Dance How to do a Traveling Double Times Step in Tap Dance How to Do a Quadruple Times Step in Tap Dance Advanced Tap Dance Lessons Advanced Tap Dancing Warm Ups for the Ankles and more. Not a single video works, & no one is available to help with the missing content. Seems like this app was posted before it was completed. Lots of good content but many of the video tutorials are unavailable for viewing. Maybe updates will fill in blank video spaces? Also surprised to see ads in addition to having paid for the app. Videos won’t play. What a waste. None of the videos are available. I need a refund. Do NOT purchase! This is a total waste of money. In five minutes of searching I could only find one video that would play the others were not available. Checked on YouTube and this account has been terminated. Do not purchase, save your money! Totally misrepresented, I want my money back! This App was a waste of my time and money half of the videos were "not available"! That is super irritating! Someone that created this App just stole a bunch of YouTube videos and complied them into one App to make money....great idea and somewhat helpful...if the videos actually worked! I have watched most of these videos on YouTube from searches I have done on my own! Seriously aggravated. I want my money back!